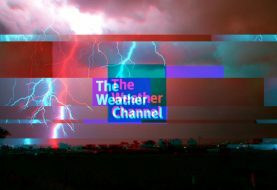 Recently, a new threat to modern day warfare was identified by the US military and government in the form of commercial drones equipped with chemical weapons and explosives. 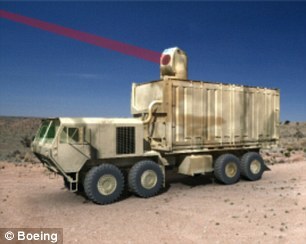 However, Boeing has finally come up with a solution to address this threat with its portable Laser Cannon. 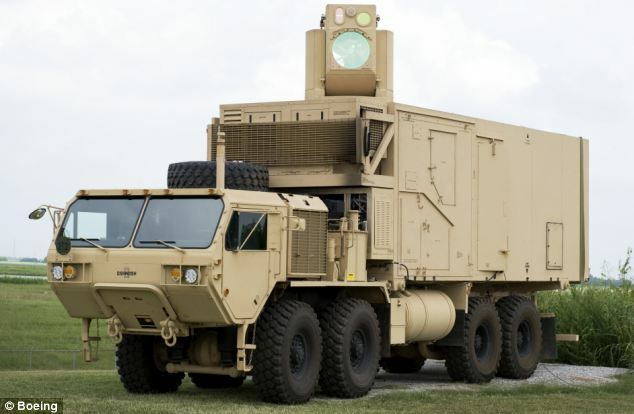 The renowned weapons manufacturer firm Boeing has introduced the Compact Laser Weapon System (LWS). This is an easily transportable laser cannon that weighs 650pounds, assembled in only 15 minutes and produces an energy beam of 10kw, which can bring down a target 22 miles away. 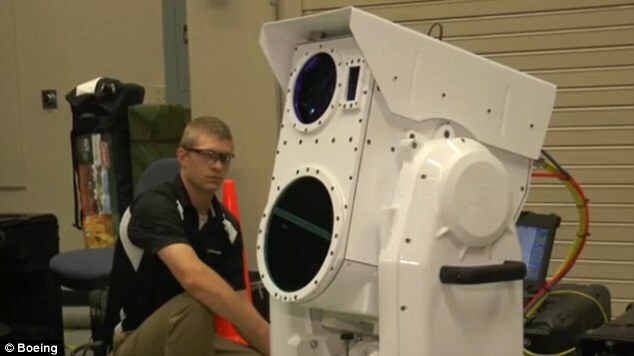 This laser cannon was tested publicly by Boeing in a New Mexico industrial park on Wednesday and the weapon has been dubbed as a game changer because it is precise, silent, portable and above all.. invisible. The weapon has been designed to attack unmanned aerial vehicles, artillery grounds and low-flying aircraft. It is reported that LWS is kept in 4 containers including a battery, a water-cooled chiller, a commercial fiberglass and a beam director. After being assembled, the weapon looks like a sub-woofer speaker on a tripod. While demonstrating its new ground-breaking weapon, Boeing burned holes in a stationary, fused unmanned aerial device (UAV) shell, after which the drone caught fire in 2 seconds. The LWS has been developed for the US Marine Corps and it is controlled by a standard Xbox360 controller along with a laptop in which the custom targeting software is installed. 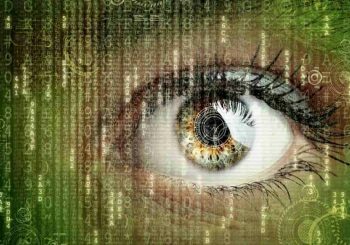 As soon as the laser cannon’s target comes in its range, its system takes over the control from a human operator and starts targeting and tracking automatically. Currently, its design needs a static position but the upgrades that are in the pipeline will allow it to be used on a moving ship or vehicle.